Starbucks has owned the Tazo tea company since 1999, and they are a mainstay at Starbucks stores. Quality tea seems to be generating more and more interest (in the US) these days, and Starbucks has taken note. The coffee giant recently purchased specialty tea seller Teavana for $620 million. The purchase gives Starbucks a great entry into the higher end tea market. This seems like a good move for Starbucks, since Teavana has a strong brand and lots of fans who enjoy the diverse range of teas that they offer. I could see the potential for offering more tea drinks in stores as an alternative to a traditional coffee shop and as eventually branching out to some stand-alone cafes – much as they did with Tazo earlier this year. 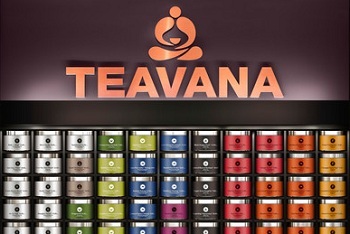 Starbucks also says that they intend to move some Teavana products into the consumer goods market – meaning that they will likely be available in grocery stores, but at a much higher price point than more mass-market Tazo teas are. From a more personal POV, I’ve had some bad experiences at Teavana locations due to aggressively upselling staff members. I’ve had some teas there that are very nice, but I basically swore them off after the last bad trip. A refreshing of the brand and maybe some of the attitudes there would definitely bring me back to shop there again. I love the idea of an accessible tea-centric cafe, so I’ll just keep my eyes out and see what comes from this purchase in the long run.